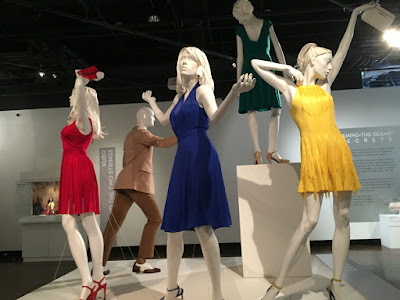 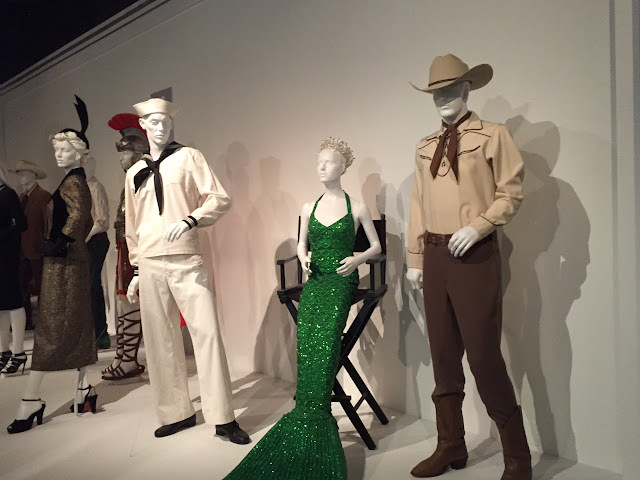 Every year I try to get to the annual Art of Motion Picture Costume Design Exhibition at the Fashion Institute of Design and Merchandising's museum (FIDM), located in downtown Los Angeles, which is traditionally held in the spring (it originally coincided with the frenzied run-up to the Academy Awards, but that window has shortened a bit now that the ceremony is held in February). 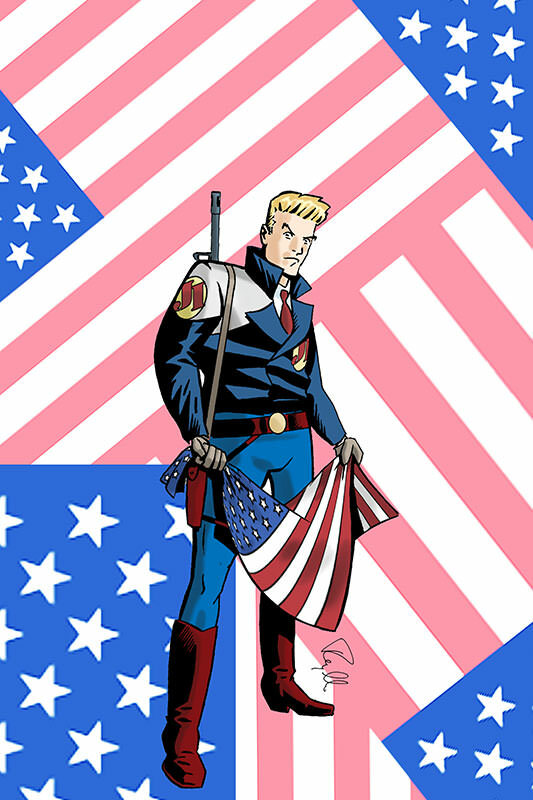 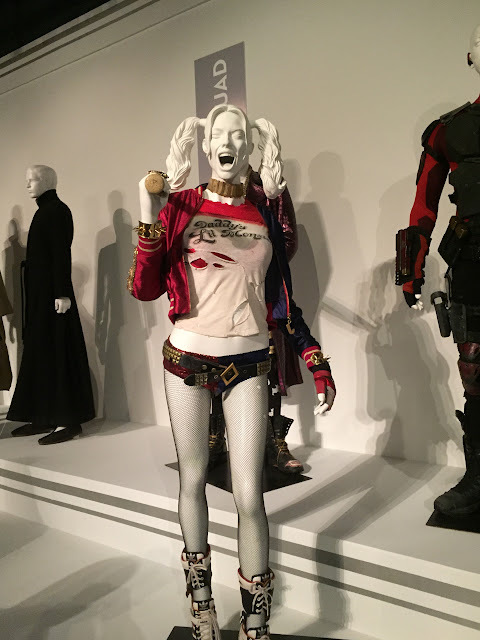 This year marked the show's 25th anniversary. 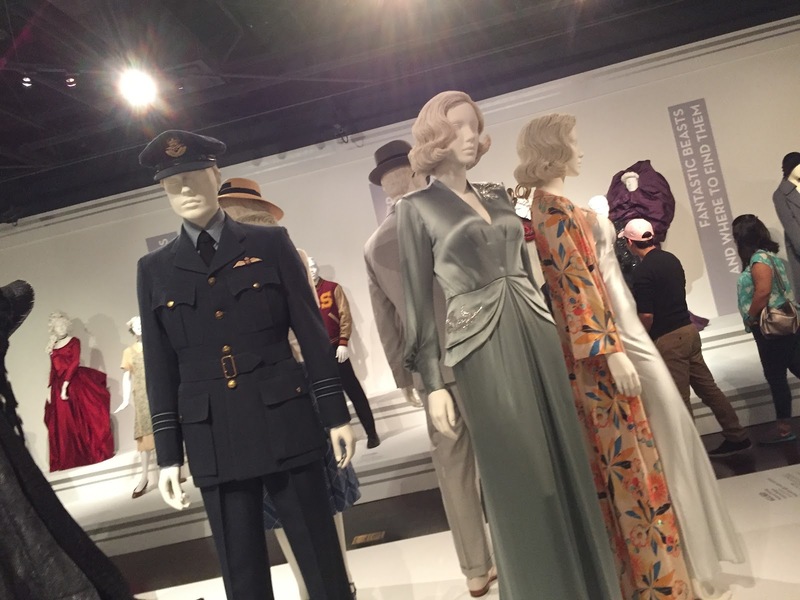 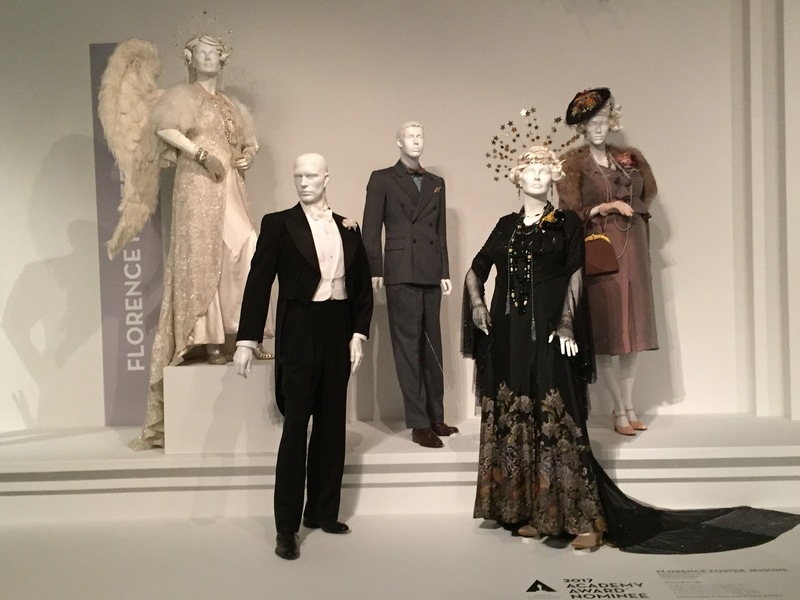 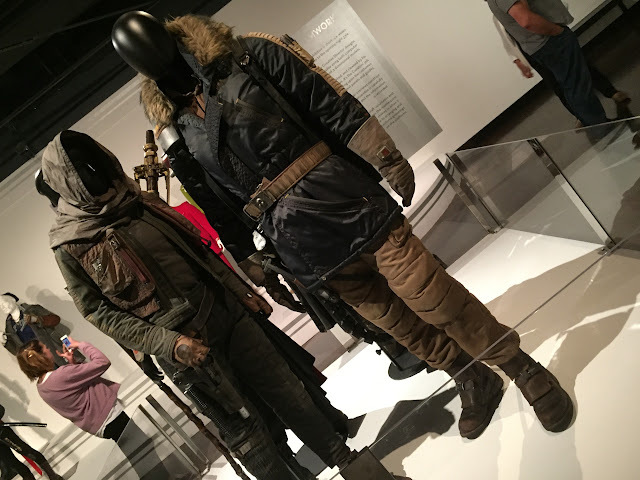 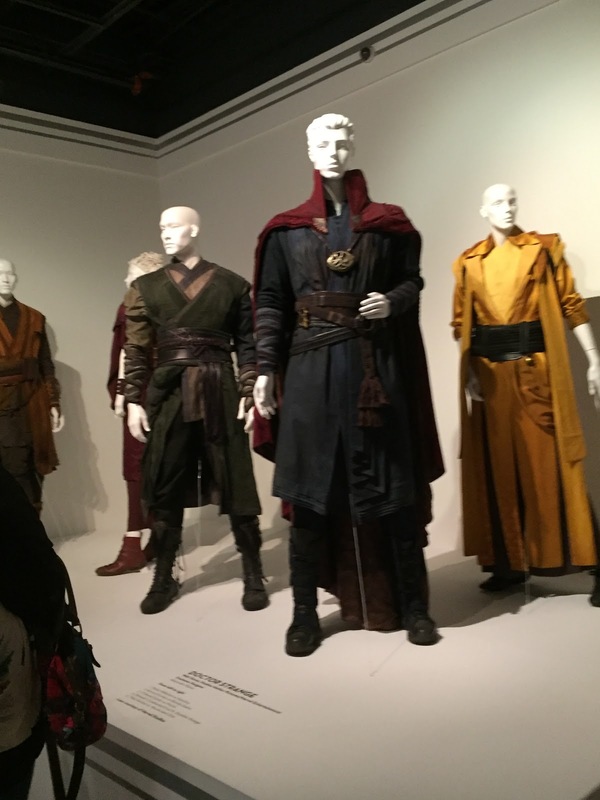 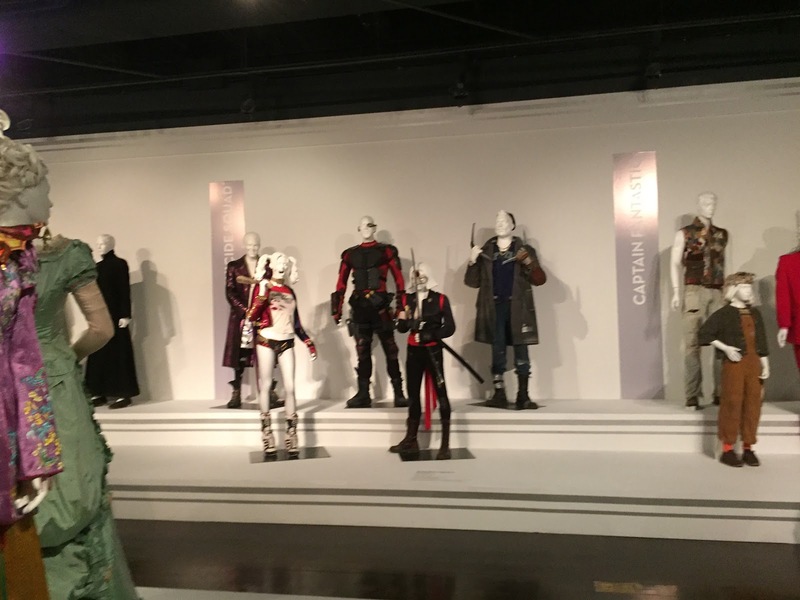 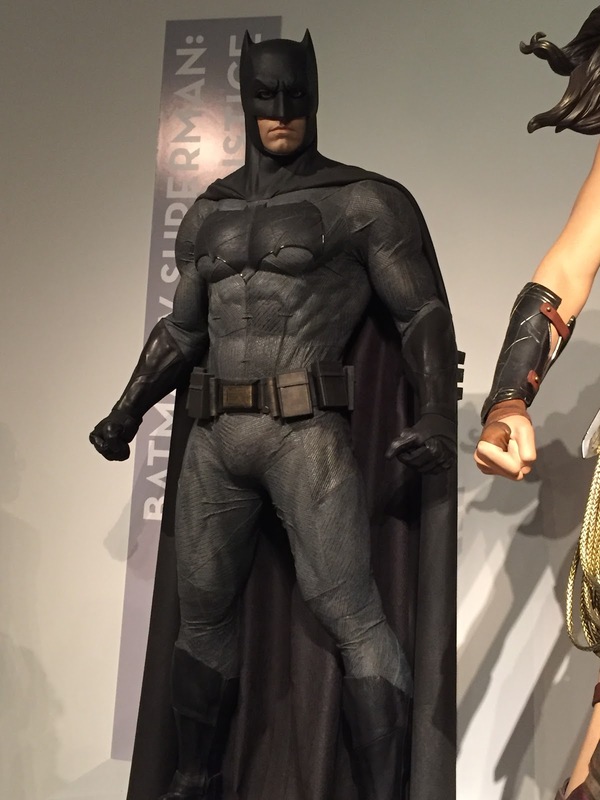 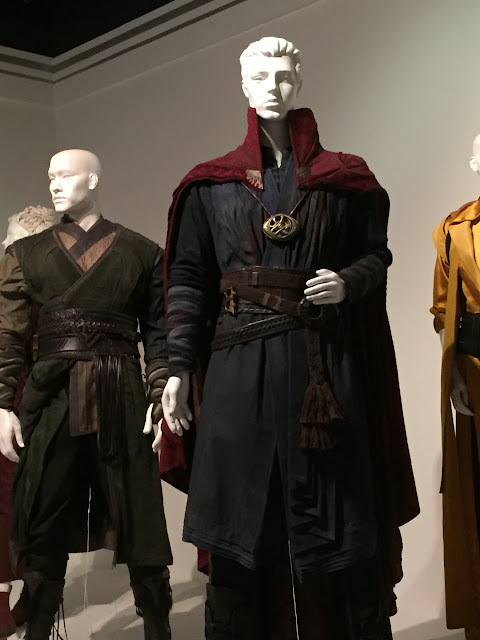 The show features the actual costumes worn by the actors in the films. 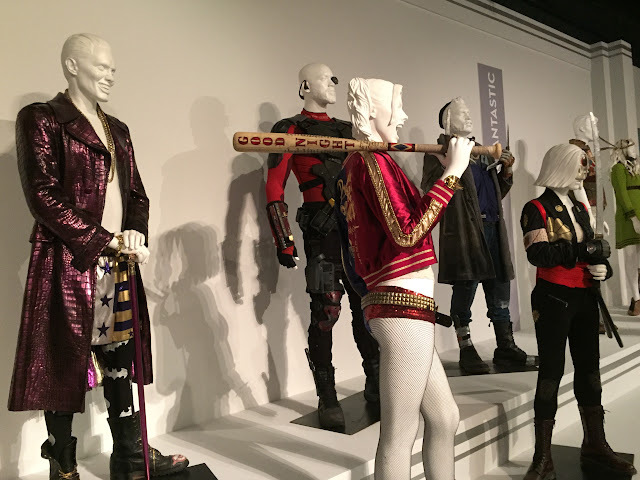 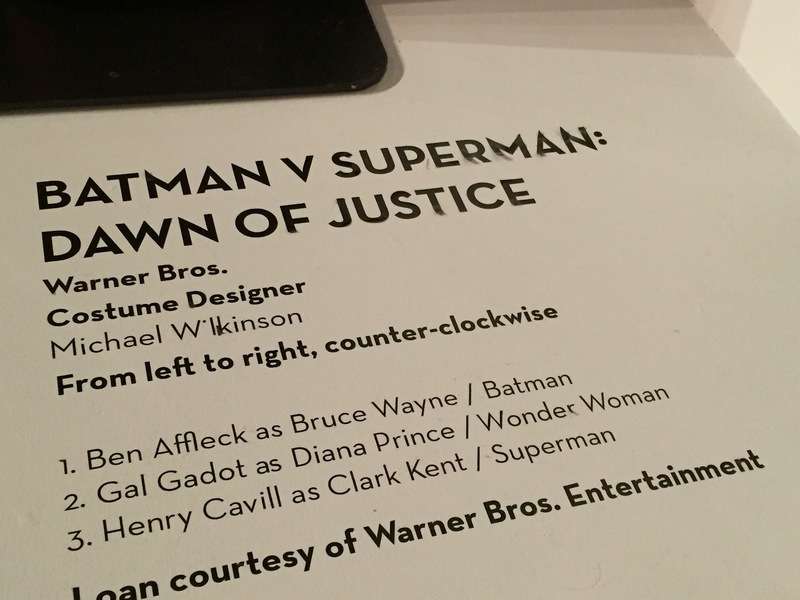 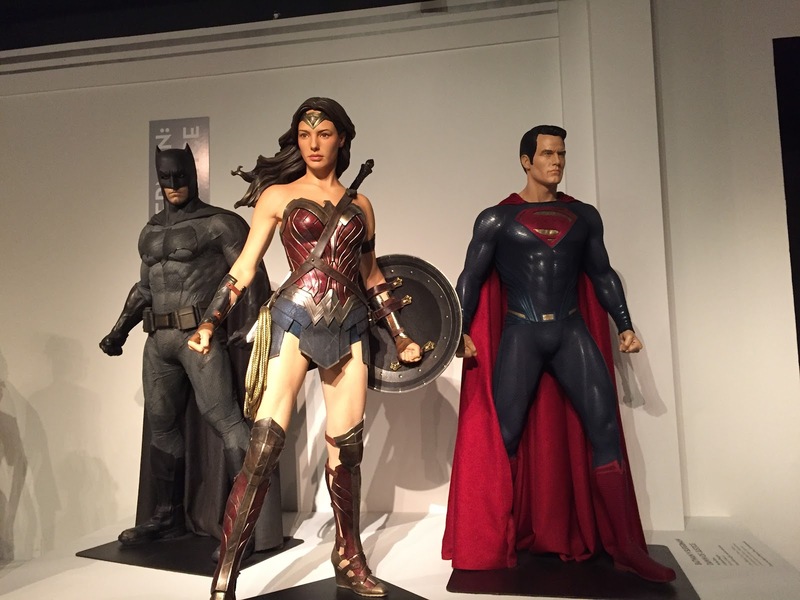 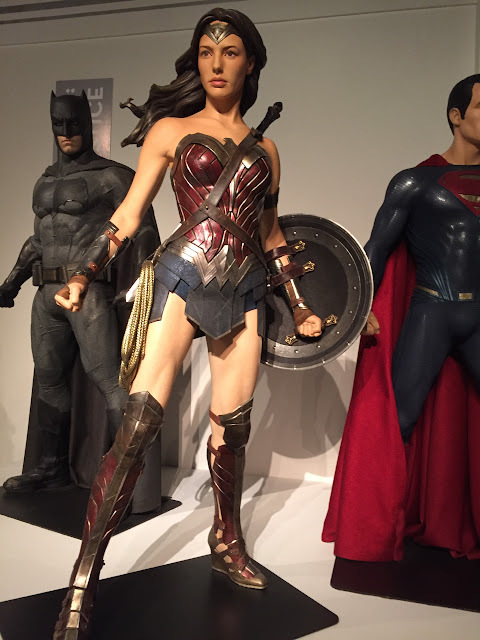 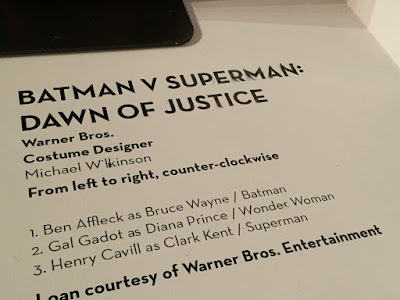 As you’ll see in the photos, this year’s exhibition included (among others) Batman v. Superman; Suicide Squad; Doctor Strange; Star Wars: Rogue One; Hail, Caesar; La La Land, and Florence Foster Jenkins. 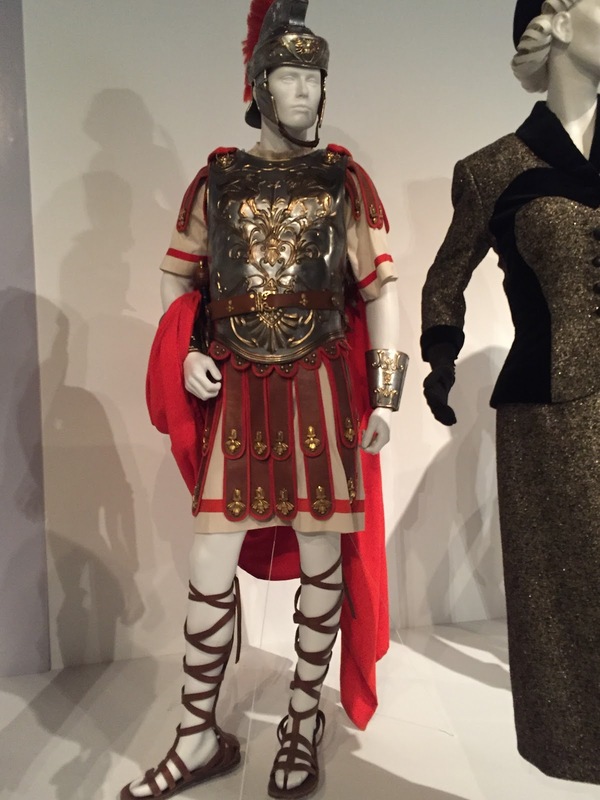 George Clooney's costume from Hail, Caesar!